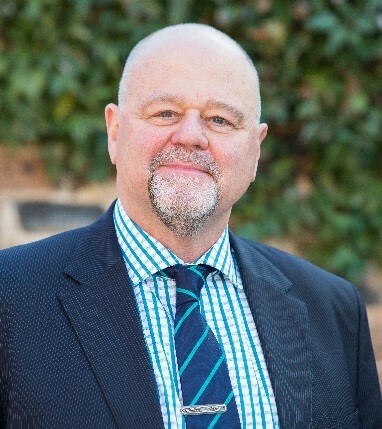 Dr Harrell holds a part time position as Senior Lecturer (50%) in the UNE Business School. He coordinates and teaches MM545 Leadership: Theory and Practice; BUS 596/496C Leading with Values and; MM524 Strategic Project Management. During 2017 Dr Harrell was an invited Visiting Professor at the University of Tartu, Estonia. This involved conducting staff organisational development programmes, guest lecturing to international students in the Business School and advising on consulting opportunities for senior University staff. He also visited the Royal Melbourne Institute of Technology (RMIT) in Vietnam to conduct staff development. Dr Harrell is an internationally acknowledged leader in the field of Values Based Leadership (VBL) and researches and consults extensively in this field. He is an accredited Master Coach in Leading, Managing and Coaching by Values through the International Coach Federation (ICF). Phil is also the Executive Director and owner of New England Management Development, a Registered Training Organisation (RTO - 91063) under the Australian Skills Quality Authority (ASQA) and the consulting company, the Leadership Alliance. These organisations are internationally acknowledged leaders in the design and conduct of organisationally specific, integrated, action learning based management development programs. Dr Harrell consults extensively in Leadership and Teams, Strategy and Project Management. Dr Harrell coordinates and teaches MM545 Leadership: Theory and Practice; BUS 596/496C Leading with Values and; MM524 Strategic Project Management. Dr Harrell has a strong interest in applied research in the areas of leadership, values based organisational development, leading with values and, organisational culture. Harrell, P. (2017), Reinventing Leadership, GBC, Dubrovnik, September 2017. Harrell, P., McClenaghan, P., & Epworth, R., (2017), Building a Values Based Culture: Multiple Case Studies, BREFM, Hanoi, June 2017. Harrell, P. (2016), Values as an Organisational Resource: Critical Aspects of Leadership Behaviour in Values Transmission, ISSWOV, Belo Horizonte, July 2016. Kawamura K., McClenaghan, P., & Harrell, P., (2016), International Research into Organisational and Individual Values Alignment: Lessons in Innovation, Student Leadership and Values Transmission, ESADE, Barcelona, April 2016 (Invited Symposium). Harrell, P., McClenaghan, P., & Hallo, L., (2014), Values Based Organisational Development in the South Pacific: A Case Study from the Samoa Ministry of Health, ISSWOV, Riga, June 2014. Harrell, P, Hallo, L., McClenaghan, P., (2014), A Framework for Organisational Values Transmission: An Australian Case Study, ISSWOV, Riga, June 2014. Harrell, P. & McClenaghan, P., (2014), Management Development in the South Pacific: A Case Study from the Samoan Ministry of Health, IMDA, Ankara 2014. Harrell, P & McClenaghan, P., (2012), Influencing Organisational Culture through Values Alignment: An Australian Organisational Perspective, ISSWOV, Goa, June 2012. Harrell, P. & McClenaghan, P., (2012), Organisational Values Alignment in the Asia Pacific: A Case Study from the Australian Automotive Industry, IMDA Helsinki, July, 2012. Harrell, P.. (2010), The Leaders Influence on Organisational Values Congruence, ISSWOV, Estoril, 2010. Harrell, P., (2005), Towards a Social Capital Perspective on Leadership: A Practitioner Based Approach, Rethinking Leadership Conference, Lancaster, 2005. Harrell, P.R., McClenaghan, P., Johnston, S. (2001), The Role of Action Learning in Facilitating Project Management Skills Development, Research and Development in Higher Education, 24, pp.32-41, HERDSA . Harrell, P.R. & McClenaghan, P. (1999) An organisational Learning Leadership Development Model. ANZAM, December 1999 (poster paper). Dr Harrell is Chartered Manager (CMgr) with the Institute of Managers and Leaders (IML), a life member of the International Society for the Study of Workplace and Organizational Values (ISSWOV) and is member of the International Management Development Association (IMDA) and the Australian Institute of Project management (AIPM).